Las Vegas is a city built on connections. In the early 1900s, the rail line that connected Los Angeles to Salt Lake City ran through Southern Nevada, attracting farmers and ranchers to the area. Fast forward to the 1940s when connected mob figures like Bugsy Siegel and Meyer Lansky built The Flamingo, proving a luxury hotel with gambling as the headliner could be big business in the godforsaken Mojave Desert. From the city’s all-powerful founding families and notorious but oft beloved organized crime figures to powerhouses like Howard Robard Hughes, Jr. who forever changed the city’s landscape by legitimizing gaming properties via corporate ownership, the city’s history is indeed one of connections. So where do all the beautiful, powerful, smart, successful and connected people of Las Vegas live today? 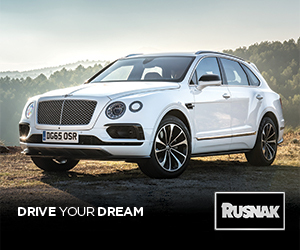 The answer is still inextricably linked to the city’s history: primarily in the award-winning master-planned community of Summerlin®, developed by none other than The Howard Hughes Corporation®, the company named for the man whose imprint on the city is even more evident today than it was decades ago. Tom Kaplan, Senior Managing Partner, Wolfgang Puck Fine Dining Group at Wolfgang Puck Bar & Grill at Downtown Summerlin. Tom Kaplan, Senior Managing Partner, Wolfgang Puck Fine Dining Group, is one of the city’s influencers who chose to live in Summerlin. He oversees the global Wolfgang Puck fine dining empire that includes 25 domestic and international restaurants, including five on the Las Vegas Strip and the Wolfgang Puck Bar & Grill at Downtown Summerlin, a dining, fashion, entertainment and sports destination that distinguishes Summerlin from all other communities in Southern Nevada. From the new Spago at the Bellagio to CUT at the Palazzo, Wolfgang Puck Cucina at Crystals, the Wolfgang Puck Bar & Grill at MGM Grand and Lupo at Mandalay Bay, Kaplan makes regular rounds to his restaurants on the Strip when he is not traveling. 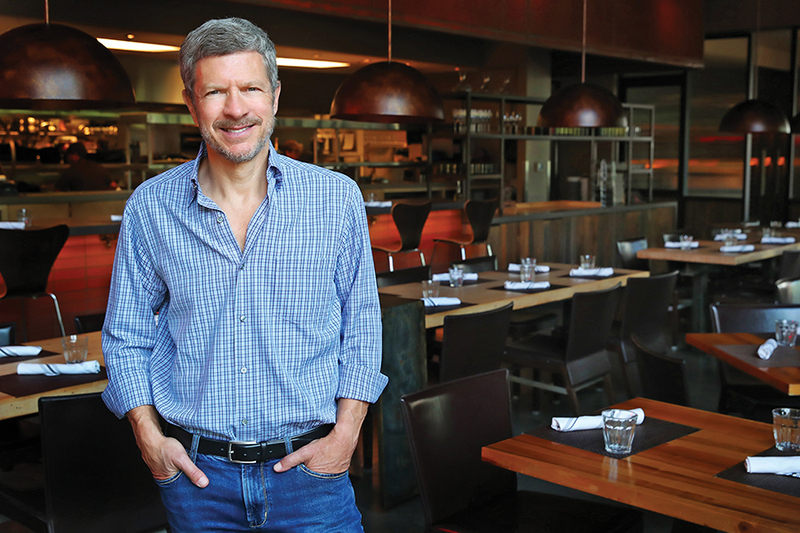 But he prefers the casual vibe of the Wolfgang Puck Bar & Grill at Downtown Summerlin, where he and his family dine every few weeks with friends and neighbors or for business. Kaplan moved to Las Vegas in 1992 to open the original Spago at Forum Shops at Caesars. Initially not thrilled with the idea of leaving Southern California for Southern Nevada, Kaplan now couldn’t imagine living anywhere else. 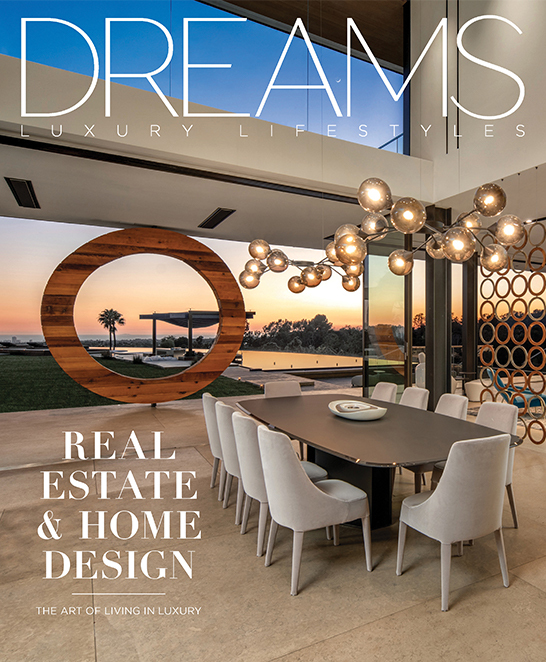 He and wife, Liz, along with six-year-old son, Austin, live in The Ridges at Summerlin, a luxury hillside enclave overlooking the valley where many of the city’s influencers put down roots. 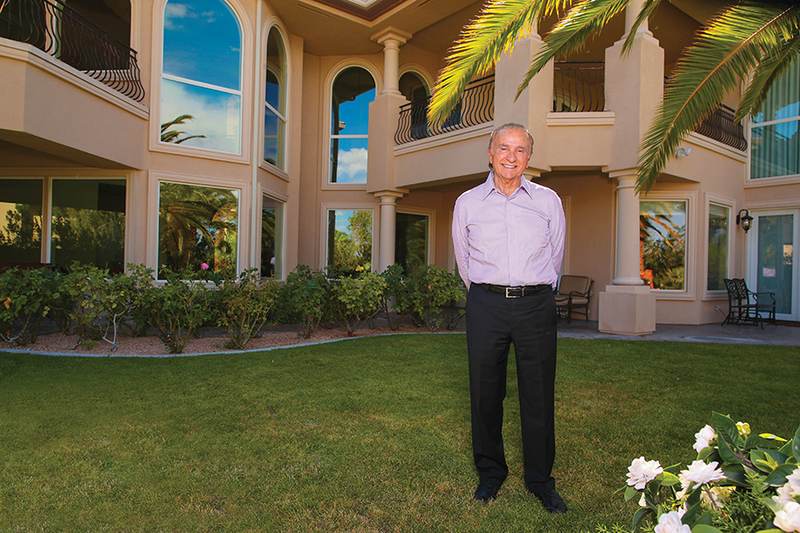 Kaplan, who purchased his homesite just three months before the economic collapse of 2008, held onto his land, citing faith in The Howard Hughes Corporation to weather the storm and trust that Summerlin would retain its value. And he was not disappointed. He and Liz spent more than four years designing and building the home of their dreams with a backyard that literally abuts to the Conservation Area where no future development will occur. “Our backyard is a place of serenity and peace and a great escape from the city’s hustle and bustle,” he said. 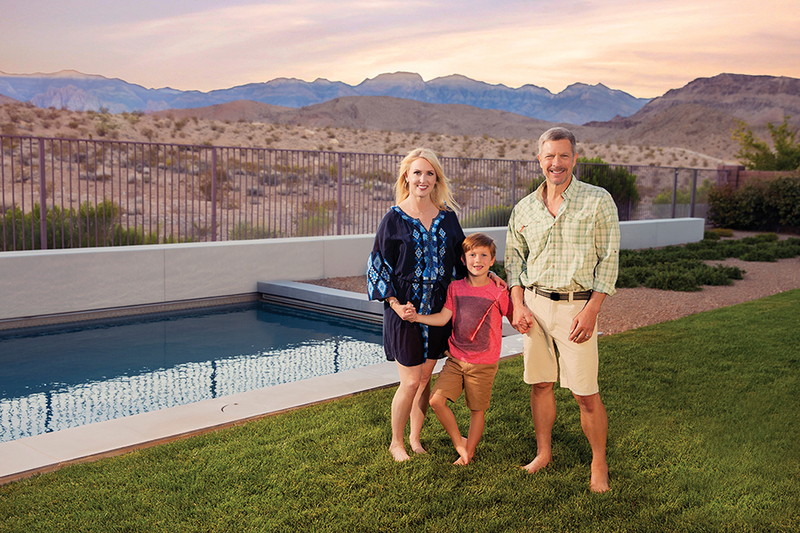 The Kaplans, Liz, 6-year-old Austin and Tom, completed their dream home in The Ridges at Summerlin in 2012. Their backyard abuts to federally protected land that will never be developed, ensuring privacy and sanctuary for years to come. Entrepreneur Sarah Camarota, a partner in three restaurants on the Las Vegas Strip, an independent hospitality consultant and mother of two young boys, is another foodie influencer living and working in Summerlin. Almost a decade ago, she and husband, Richard, were newlyweds living in downtown Chicago, both with dynamic careers in the restaurant business. Sarah had just landed her dream job working as executive director of experience design for Levy Restaurants, a Chicago-based sports and entertainment hospitality firm. Richard had been working with James Beard Award winner Shawn McClain and was offered the position of Executive Chef at Sage, a fine dining restaurant at Aria Resort & Casino. The couple decided to take a leap of faith and moved to Las Vegas in 2009. Their first baby, James, was born just a few weeks after Aria opened. Camarota, who was passionate about her career, continued to work remotely for Levy as a new mom in what she describes as “the polar opposite of my former life” as a city girl in Chicago. “It was 2009. The economy had collapsed before our eyes. Las Vegas was ground zero for the recession. I was a new work-from-home mom, and I knew no one. I guess you could call it character-building,” she said. Fortunately, the couple landed their first home in Summerlin. “I found my places and my people; being in this area really grounded me during that period in our lives.” And just as she considered a new role which could have brought them back to Chicago, the “opportunity of a lifetime” came about. Meanwhile, Camarota thrived in her role with Levy Restaurants, focusing on the company’s west coast venues. She played an integral role in the experiential development of F&B at T-Mobile Arena, home of the Las Vegas Golden Knights, bringing in world-renowned mixologist, Tony Abou-Ganim, to develop an industry-leading “mixology for the masses” program that has resulted in record-breaking sales at the venue. As T-Mobile Arena was taking off, Camarota and her family moved into their second home in Summerlin, this one in a cozy cul-de-sac in the popular Paseos village, just up the street from Downtown Summerlin. Appreciative of the area’s many fitness offerings, Camarota makes TruFusion and Lifetime Athletic part of her daily routine in the community. Then came Libertine Social, a next-generation gastro pub at Mandalay Bay, which was developed and launched again with husband Richard; the couple’s partner Shawn McClain; and Las Vegas-based cocktail genius, Abou-Ganim, who also lives in Summerlin. Sarah Camarota, Hospitality Experience Curator for Las Vegas Ballpark at Downtown Summerlin, is currently overseeing the development of a signature ‘food and beverage’ story for the stadium that will be the new home of the Las Vegas 51s upon completion in early 2019. In 2017, The Howard Hughes Corporation acquired full ownership of the city’s Triple-A baseball team, the Las Vegas 51s, and announced plans to develop a state-of-the-art ballpark in the Downtown Summerlin area. Camarota was chomping at the bit to get involved. Camarota feels strongly that creating vibrant food and drink experiences is mission critical, a vision shared by The Howard Hughes Corporation. So, in early 2018, she was brought on board as Hospitality Experience Curator for the new Las Vegas Ballpark. Chilled rosé at a ballgame? Seems like it’s right out of Camarota’s playbook. Another Summerlin resident and Las Vegas restaurateur, Frank Bonanno, knows a thing or two about food. His family empire includes the ownership and operation of 50 Las Vegas based restaurants located in eight major Vegas hotel/casinos including five food courts at MGM Grand, Mandalay Bay, Luxor, Flamingo and Bally’s. His newest venture is Royal Britannia Gastro Pub at The Grand Canal Shoppes at The Venetian, and his company, Fifth Avenue Restaurant Group, employs more than 1,100 people citywide, many who have been with the organization for 20-plus years. With a strong presence on the Las Vegas Strip, Bonanno has long made a living of serving up delicious food to the city’s millions of tourists. 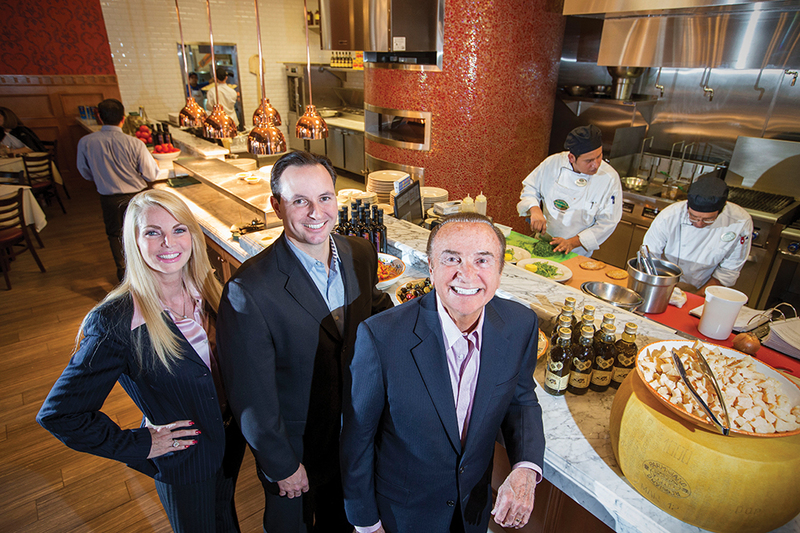 So, when the Bonanno family, which includes his wife, Betty, and oldest son, Robb, opened Trattoria Reggiano at Downtown Summerlin, one would have thought it would just be another day at the office. Bonanno owns 50 restaurants located in eight major Las Vegas hotels and casinos, including five food courts at MGM Grand, Mandalay Bay, Luxor, Flamingo and Bally’s. Bonanno and his family are long-time residents of Summerlin. Residents of Summerlin since 2003, these New Jersey natives have long made a name for themselves in the restaurant business. After earning a degree from “The Culinary Institute of America” and serving as a Lieutenant in the Army, Frank developed and operated a chain of 75 East Coast based chocolate chip cookie stores that he eventually sold to Mrs. Fields. He then developed a number of Häagen Dazs and Nathan’s Famous franchises, and in 1992, while vacationing in Las Vegas, Frank and Betty felt the city’s energy and were inspired to meet with MGM executives about the possibility of operating in the food court there. A deal was struck, and the rest, as they say, is history. Other names added to the Bonanno portfolio now include Johnny Rockets, Bonanno’s New York Pizzeria and a dozen other restaurant brands. Frank Bonanno, right, his son, Robb and wife, Betty, left, enjoy greeting friends and neighbors at the family’s popular restaurant at Downtown Summerlin, Trattoria Reggiano. Spanning 22,500 acres along the western edge of the Las Vegas valley and framed by Red Rock Canyon National Conservation Area, the region’s most stunning natural landmark, Summerlin is credited with making Las Vegas known as a great place to live, not just visit. Now in its 28th year, the community is home to more than 100,000 Southern Nevadans drawn to its superior quality of life. 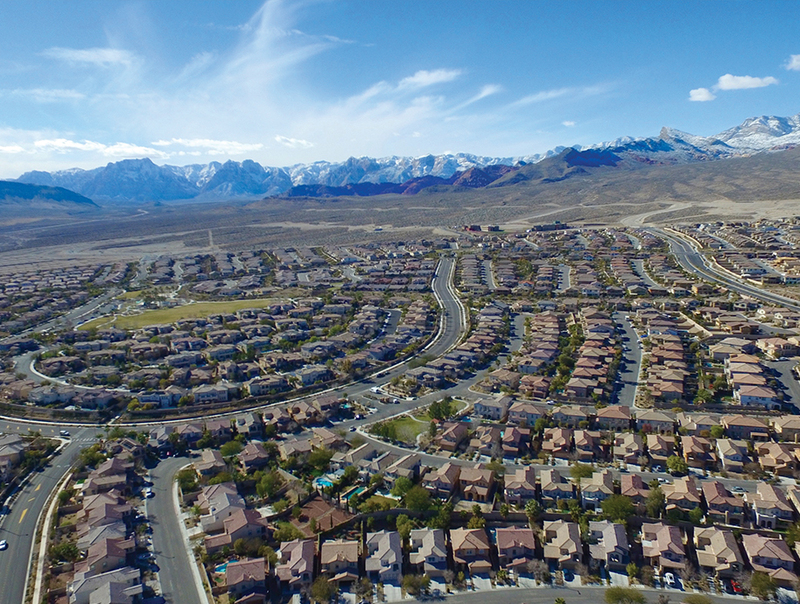 With more than 150 miles of walking trails, 250-plus parks of all sizes, ten golf courses, 25 public, private and charter schools and its own downtown, Summerlin is in a league of its own in Southern Nevada when it comes to amenities. It’s no wonder the city’s captains of industry, entrepreneurs, celebrities, professionals, influencers and yes, even its foodies – often choose to put down roots in Summerlin, easily considered the best place to live in Las Vegas.